Here at Van Dam Custom Boats, we use a process for building our custom wooden boats that is commonly called “cold molding.” In this process, we utilize a room temperature (cold) cure epoxy adhesive to laminate many thin layers of wood to create the large structural members of the hull and the hull itself. Using the many benefits of epoxy adhesives and wood, we engineer all the structural members, the joints, and the skins, to create a wooden boat that is strong, durable, and stable. We do not (as many builders mistakenly do) build wood boats the way they were built before we had epoxies, and then simply add epoxy. This is not a good use of epoxy, and it results in a myriad of future problems, always with the same result—an unsatisfied customer. Blending our craftsmanship and boat building experience with sound engineering principles allows us to build a custom wood boat of any size with confidence that it will endure the test of time. There are several approaches to building a wood boat’s framework that can emphasize longitudinal framing or transverse framing, or a combination of both. As we start a new boat or yacht design, we decide which will be the best technique for building the structural framework of the new boat. We study the conditions the wooden boat will face, the cosmetics and overall style, and then we decide which framing system is best applied to a new design. 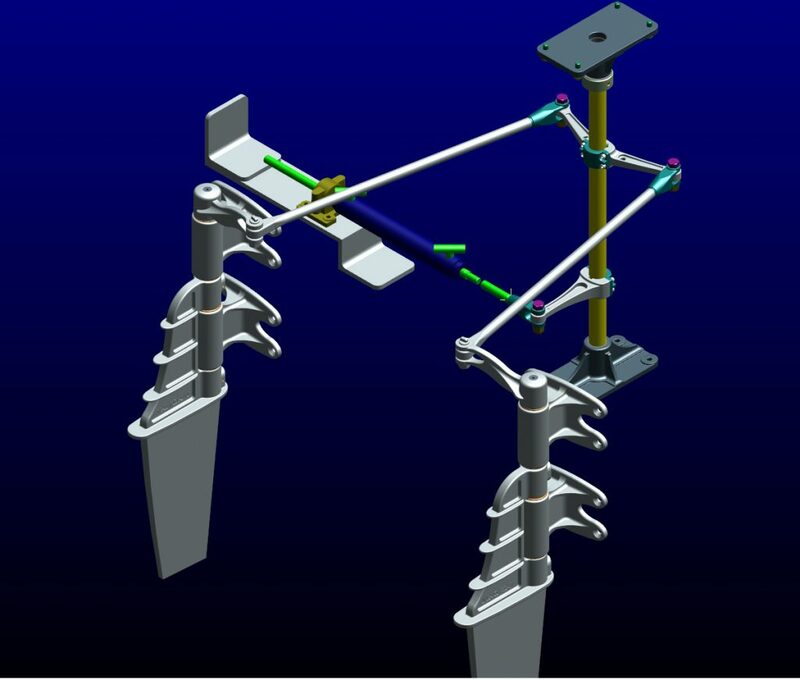 This structure is then integrated into the design using state-of-the-art 3D computer aided design (CAD) software. Unlike our early days, we no longer hand-draw the boat on a lofting floor. Now, from our CAD data, we generate full-size patterns on mylar (a clear plastic sheet that is tough and very stable dimensionally) that are accurate to a few thousandths of an inch. From there, we plot detailed shop drawings that locate the framing, mechanical systems, seating, and hardware. We often have custom fittings and hardware CNC-machined directly from our CAD data. We are now ready to start cutting lumber. We hand-select every board that goes into our custom wood boats and carefully sort the wood, looking for characteristics that might dictate whether it is used for structure, cosmetics, or in some cases both. We treat wood like a unidirectional fiber, because it is much stronger along the grain than it is across the grain. For this reason, we engineer our boats to take advantage of that characteristic. These things take time, but they are the kind of engineering details that we pay attention to—it is what separates a Van Dam custom wooden boat from all the others. Inside or out, our joinery and structures are never hidden from view, and the wood is expertly fit and finished. Seeing firsthand our process of boatbuilding and the thought, care, and engineering that goes into the way we build is an enlightening experience for anyone who appreciates quality and the pursuit of perfection. We have developed many proprietary techniques that we are proud to show prospective clients when they come for a visit. Our capabilities are not limited to the wood shop. We have the skill and the equipment to fabricate custom fittings in stainless steel or aluminum that combine artistry and functionality. From polished cutwaters to polished propeller shaft struts, and everything in between, we can fabricate it on site. We have perfected the art of fairing and finishing. We are comfortable with multiple paint systems from which we can select the appropriate finish for each boat’s requirements and intended use. A high gloss finish on a perfectly faired hull is our forte! We are no less fastidious in our approach to mechanical and electrical systems. Since 1980, Van Dam has been a member of the American Boat and Yacht Council (ABYC), the USA’s organization that sets small craft design standards and installation standards for electrical and mechanical systems. Our team is trained to meet or exceed these system installation requirements and execute them with a level of craftsmanship such that appearance, function, and serviceability are enhanced. Only the best products go into our custom wooden boats, from 100% tinned electrical wire to stainless steel exhaust components. Our boats are designed and built to endure and to provide boating pleasure for generations to come. Throughout the construction phase of each custom boat, we take regular progress photos and email them to our clients weekly. For those who cannot find the time to visit our shop during construction, having these photos arrive each week keeps them abreast of our progress and often helps when it is time to make decisions. When the wood boat or yacht is finished, we use these construction photos, as well as in-water photos of the boat, to create a professional hardbound coffee table album that is presented to the client after delivery. We provide this album to document the creation of their vessel and as a way to build on the lasting value of their custom Van Dam wooden boat.